Epicardial techniques present advantages over some aspects of endocardial devices, as long as patients have anatomies that do not preclude their use, but more data across the board regarding efficacy and safety is still needed, delegates will hear this morning in a session dedicated to the topic of left atrial appendage (LAA) closures. Discussing the endocardial approach will in particular be Vivek Reddy (Director, Cardiac Arrhythmia Service, Mount Sinai School of Medicine, New York, USA), while Moussa Mansour (Massachusetts General Hospital, Boston, MA, USA) will concentrate on the epicardial aspects. They spoke to Boston AF Symposium News ahead of the meeting to discuss both techniques, and what we can hope to learn in the near future in order to improve patient outcome. Dr. Mansour underlined that while most of the experience so far in this arena has been seated with the endocardial devices, patients with contraindication to anticoagulation cannot be treated endocardially, because the devices require the use of anticoagulants. Conversely, epicardial devices do not require any anticoagulation – even for a short time after the procedure. In addition, they offer further benefit in that epicardial devices negate the need to implant a permanent device, as with the endocardial approach. Dr. Mansour echoed this statement: “If a patient has an appendage with a tip diving beyond the pulmonary artery – which makes it not amenable to the epicardial approach – a patient like this may be a better candidate for an endocardial approach,” he said. With all of this in mind, it is clear that there is a place for both types of devices in the field. But what of surgical approaches? “I think we will see less and less need for surgical ligation, unless the patient is going for concomitant heart surgery,” said Dr. Mansour. Within each of their presentations, Dr. Mansour and Dr. Reddy will provide an overview of a number of devices from the epicardial and endocardial fields, respectively. Specifically, Dr Mansour will discuss the two clinically available epicardial devices thus far: “One of them has been used for more than a year in the United States, and in Europe, and the other one has only been used in Europe for a very small number of patients,” he said. 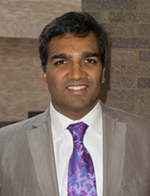 Dr. Reddy stressed that while there is a good deal of data available for many of the endocardial devices, chiefly in terms of efficacy, there is still a great need for more, and trials would be a particularly important component to gather more information on safety in particular. Similarly, as real-world exposure with epicardial devices begins to accumulate more and more each day, we are now at the stage where we can begin to more effectively evaluate the epicardial approach. As such, Dr Mansour will present encouraging preliminary results stemming from the use of these devices in his presentation. The Moe model disproved: What next?